On May 17, 2018 Philips officially announced a corporate name change to Signify. While the company name has changed, all the things that customers have come to trust - their commitment, service, and quality - will stay the same. They will continue to use the Philips brand for their lighting products. With a rich history extending back more than 125 years, Philips Lighting has been a lighting innovator. 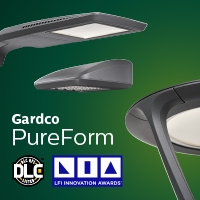 They pioneered the electric light, LEDs and are now leading the way in intelligent lighting systems. By leveraging the Internet of Things, Signify is transforming homes, buildings and cities. 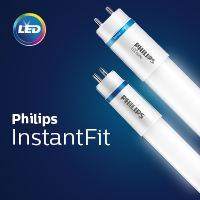 Retrofit your HID high bay lamps with Philips TrueForce LED lamps and instantly save more than 50% in energy costs! Designed as a true Plug and Play replacement for 250W, 320W and 400W, there is no need to change fixtures or ballasts. And TrueForce LED has double the lifetime to reduce maintenance costs, and the added benefits of instant on, white light up to 80 CRI. For more detail on product specs, download the product bulletin. 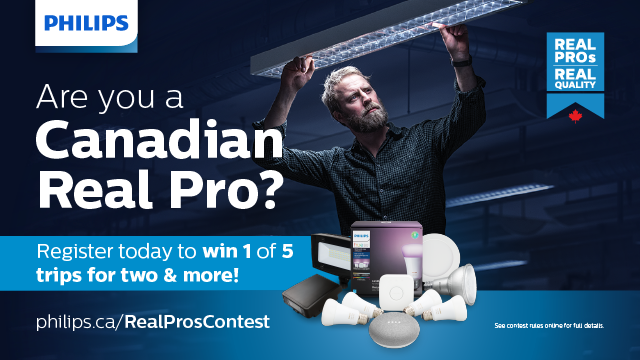 A contest exclusive to Canadian Electrical Contractors! 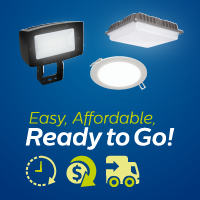 From outfitting a small shop to retrofitting a commercial retail space, we know that jobs of all sizes require real talent, and that your customers expect quality and reliability which is why choosing Philips lighting solutions are good for your business. We are on the hunt for skilled contractors across our nation and we want to know what makes you a Philips Real Pro! Click here to register online for a chance to win!